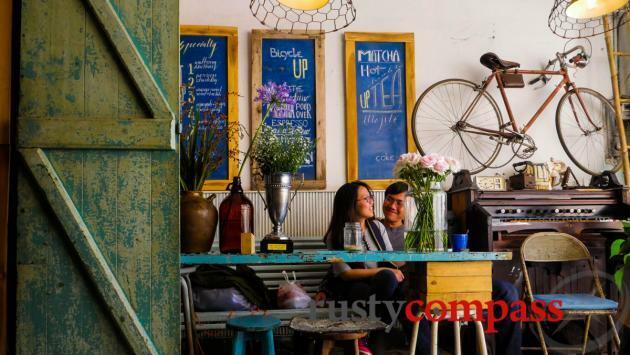 An independent travel guide to Dalat with candid reviews and recommendations. No sponsored content, no advertorial. 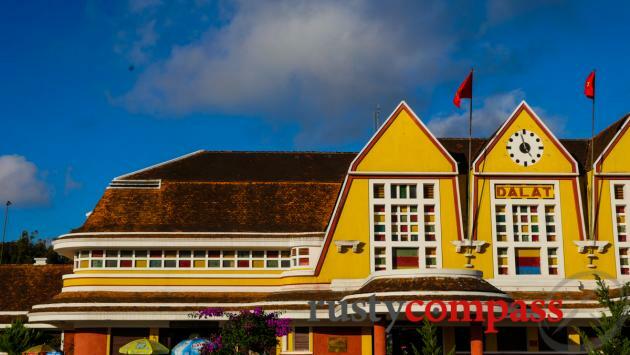 Dalat's distinctive railway station - fusing deco and local architectural styles. 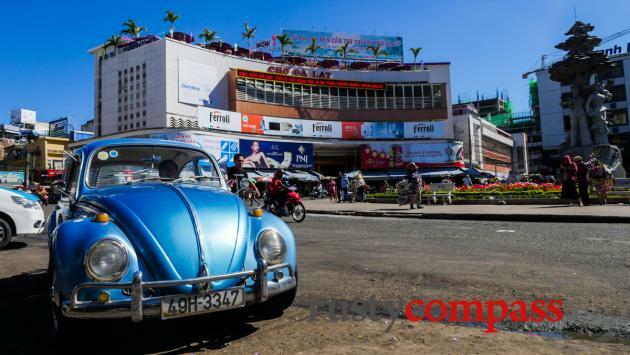 A retro moment at Dalat's modernist central market. 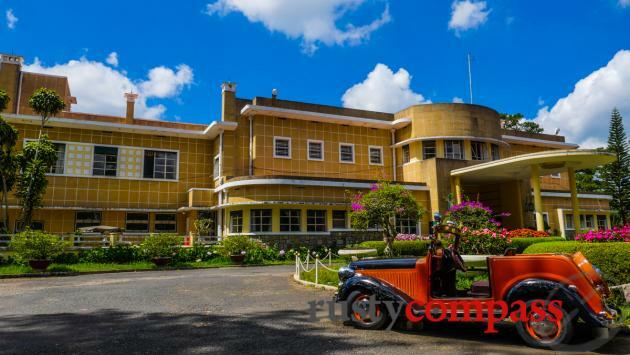 One the stunning Dalat deco residences of Bao Dai, Vietnam's last king. 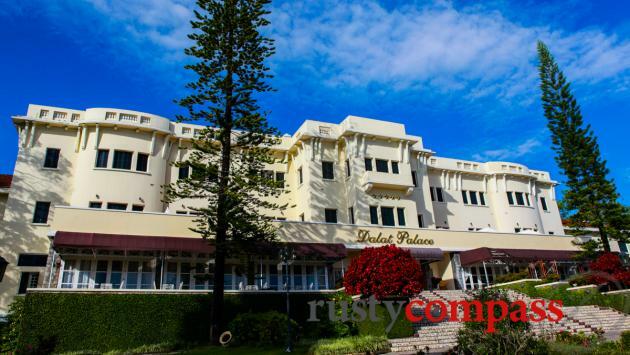 The Dalat Palace, one of Vietnam's most beautiful hotels. Banh trang nuong - Vietnamese pizza - a Dalat specialty. Dalat produces some of Vietnam's finest coffee. 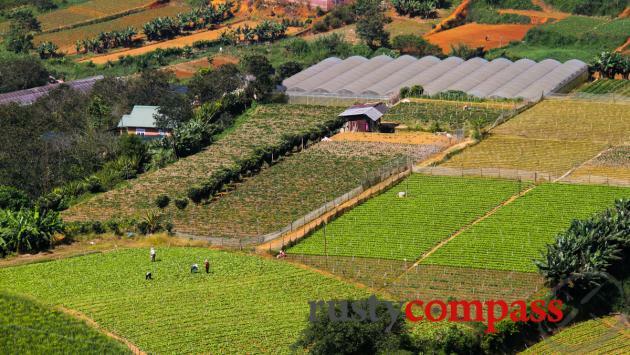 Dalat's cooler weather makes it perfect for fruit and vegetable farming. 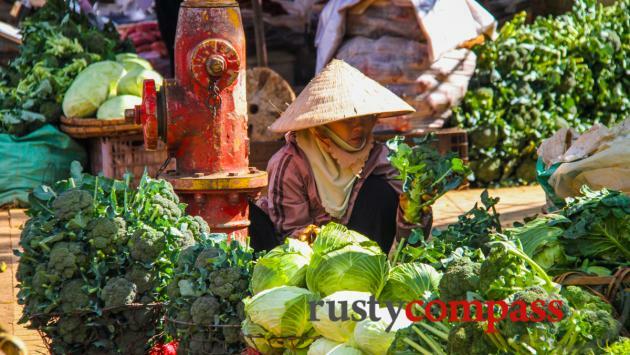 Dalat reads like one of Vietnam’s most evocative towns - a colonial era hillstation of mountains, cool air, lakes, churches and chalets. It may not quite live up to expectation, or make many lists of Vietnam’s top 3 or 4 destinations, but if you have time, this is a unique and interesting place to spend a few days. We really enjoyed our most recent visit - did lots of walking, drank lots of coffee, and enjoyed some great local food. It was a nice escape from Saigon. 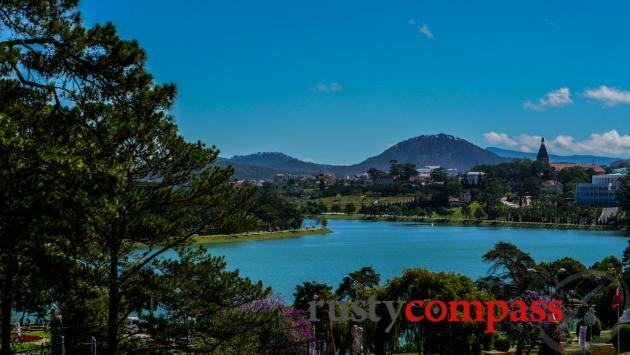 Dalat was established at the beginning of the twentieth century by French physician Alexandre Yersin as a mountain retreat, away from the searing heat of Vietnam’s coast. A settlement of ethnic Lat people - the Lat in Da Lat - was transformed for a colonial elite drawn to cooler climes, hunting, and European scenery. In the pre-WWII period, spectacular chalet style lodges sprung up around the town alongside churches, monasteries and a sanatorium. The Catholic Church made Dalat a major centre as did Vietnam’s last king, Bao Dai, who built three impressive villas here. The town became a place where power, spirituality, culture and education coalesced. The infamous Madam Nhu, aka. 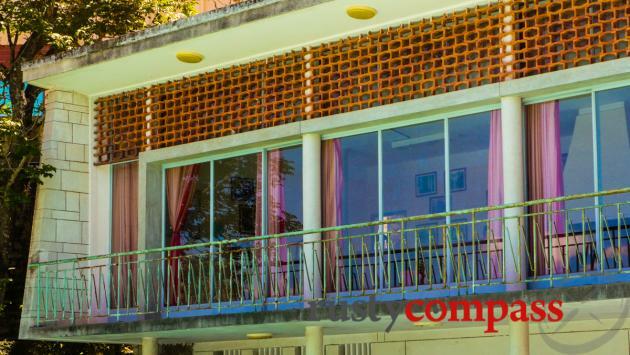 the Dragon Lady of South Vietnam and unofficial First Lady to president Ngo Dinh Diem, built an amazing modernist residence here in the 1950s. The rich and powerful of the old southern regime came to hunt and play. Which may explain why the post-war decades haven’t been so kind to the town. 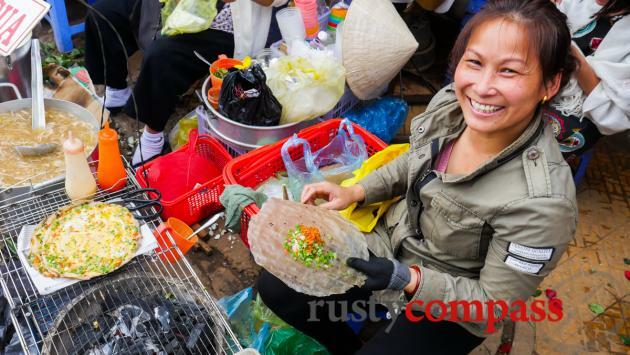 While it survived the ravages of war virtually unscathed, Dalat’s charms have faded as a rising population has seen chaotic building, as well as demolition and poor renovation of heritage buildings. 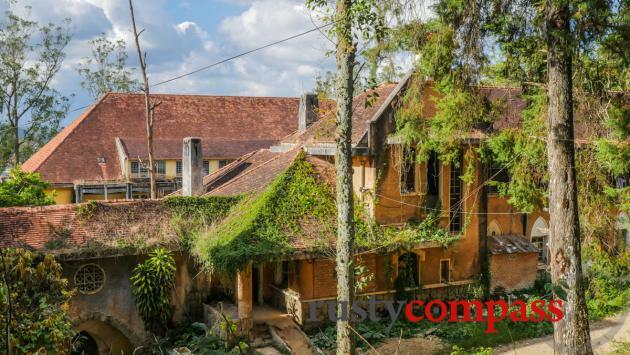 Even the landmark heritage Dalat Palace hotel is facing a renovation that looks likely to diminish its perfect balance of architecture and grounds. Some treasures remain, but Dalat’s status as Vietnam’s honeymoon capital has spawned a booming industry of kitsch. There is plenty of blingification and history is served to curious visitors as it might be served to pre-school children. Active tourism is on the rise - especially among backpackers - with mountain walks, waterfall treks and cycling all bringing in young adventure seekers. 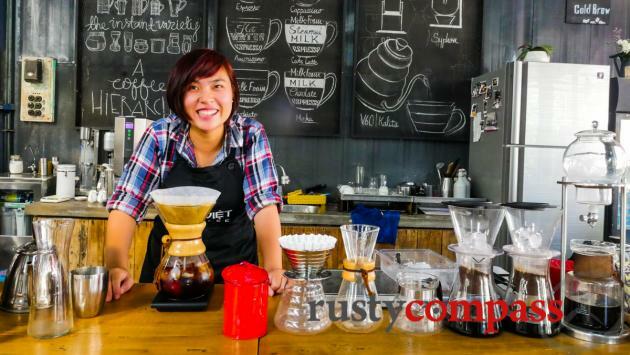 Dalat is also home to some of Vietnam’s finest coffee - and a little coffee tourism industry is taking shape. Make sure you sample the local coffee offerings. Dalat's a popular domestic tourism destination so it's best avoided during national holidays - especially around Tet Lunar New Year. Weekends see an influx of tourists too but the major holidays can be stiflingly busy. The summer months also see an increase in local tourism. 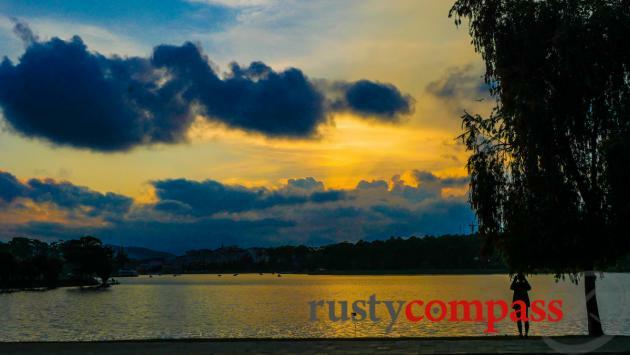 The Dalat weather is always more temperate than Saigon - but it still gets hot during the summer months between June and August. Things always cool down at night. The winter lows dip as low as 5. Summer lows fall to the mid or high teens. Summer highs can hit 30 and winter highs will be in the low 20s.